You would expect the latest Ubuntu operating system to be considerably faster than previous software versions. If you did, I am sorry to tell you that you are very much mistaken. Not only is it not as fast as previous Ubuntu versions (Ubuntu 7.04, 7.10, 8.04), it turns out that it isn’t faster than the Mac OS X either. The team at Phoronix decided to pitch the brand new Ubuntu 8.10 (the x86 and x86_64) operating system against the Mac OS X 10.5.5 from Apple, and see which one performed better in terms of speed. The test was carried out on a Mac Mini (1.83GHz Intel Core 2 Duo T5600, 1GB DDR2, 80GB Hitachi HDD). It must be noted that both operating systems, Ubuntu and the Leopard, were not tampered with in any way – the stock configuration was used during the tests. I will not bore you will all the technical aspects of the benchmark test (if you do want to check out the exact benchmark results you can do so here) and I will get straight to the point. In pretty much all of the tests, Ubuntu 8.10 x 86 and Ubuntu 8.10 x86_64 was left behind. In layman’s terms, it is not as fast and as efficient as the Leopard is ( I guess the name was not chosen by the guys at Apple simply because it sounds cool). This recent round of benchmark tests come to confirm another round of tests that Phoronix conducted a little while back. 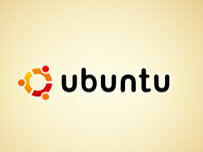 It seems that as the Ubuntu OS moves forward, from version 7.04 to 7.10, to 8.04 to 8.10 it loses a little bit of speed. The new software iteration instead of getting faster, gets slower and slower (weird, huh? ).